We always love to hear from you! If you have any questions, please contact the Admissions Office at either of the numbers below. Visit our Faculty & Staff directory for individuals’ information. 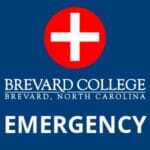 Schedule a Visit To Brevard College Today!